Online users who have received fake "ACE Legal Group of Attorneys" lawsuit email messages like the one below, which claim that they have been given a chance to settle an ACE CASH INC debt outside of court, should delete the email messages and not follow the instructions in them. This is because the email messages are fraudulent, and are being sent by scammers to trick the recipients into sending them money believing that they will be sued for money owed and their credit history tarnished. 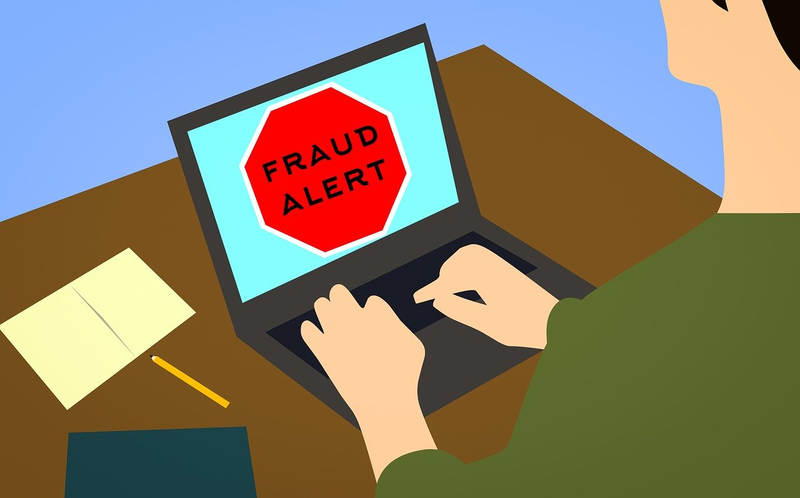 Having checked your Social Security Number through our National Checking Database System, and finding out that you have been never charged for a fraud activity, ACE has decided to give you a chance to take care of this issue outside of the Court without you having a report on your Credit History and SSN. In order to avoid a lawsuit of $3200.60 against you, we request you to kindly pay the Court Restitution Amount which is $980.76. If you settle this matter today, you may be entitled to get some percentage of deduction on the restitution amount. You will have to send us a promissory note in order to hold your case file from being sent to the court house. On a case to case basis, you may be given the solution to pay 45-55% of the pending amount in the same month & a 30 days extension to settle the rest of the settlement amount as mutually agreed. The principle amount was $300.00 and now with the late fee and taxes it includes the Attorney charge, NFS Charge, Affidavit Charge, Rate of Interest the initial amount of $300.00 goes up to $980.76. Note- If we don't receive any response from your side within 48 hours, your case file will be downloaded automatically against you. After that we are unable to help you and you will receive court summons at your door steps with the cost of lawsuit around $3200.60. We don't appreciate your negligence on this account and if you do not want to make resolution on this account with us regards your case file then we do apologies. Should further action be taken, We will file suit against you for defamation of credit; relief under the FDCPA, breach of signed agreement and request payment of our attorney fees and costs and statutory penalties. We wholly contest this debt and request a full accounting of the debt along with court resolution fee of $3200.60 after the judgment in the courthouse which is totally impose upon you. NOTE: IF YOU IGNORED THIS EMAIL AND FAILED TO TAKE CARE OF THIS DEBT THAN ALL OF YOUR BANK ACCOUNTS WILL BE SEIZED THROUGH MAJOR CREDIT BUREAUS WITHIN NEXT SEVEN BUSINESS DAYS, THAT’S WHY YOUR CO-OPERATION WOULD BE REALLY APPRECIATED. · Attachment of Earnings base (Earnings Arrestment). Deduction from your wage by your employer or arrestment of part of your salary to satisfy the debt. 1. If you can make one time payment of $450.00 then we can close your case file with this amount only. 2. If you are looking for bi-weekly payment then you have to pay total amount of $500.00 with payment arrangement and you can pay $100.00 bi-weekly till paid in full. 3. If you are looking for monthly payment then you have to pay total amount of $600.00 with payment arrangement and you can pay $150.00 monthly till paid in full. Do provide us with the date on which you can pay so that we can update your account. ACE Legal Group of Attorneys. I received today an email stating I Owe a Advance Cash Express $981.74. I Never borrowed money from a cash advance establishment nor Any loans from any company. Not to mention in this email sent from ACE Legal Group they left No phone number nor address. Just that it&apos;s a "Police Report" and I have 24 hours to submit the money I owe. Hello! Acs incorp is threating me to pay money for something that I don’t even know, I have asked over and over again to tell me and send me a letter stating what it is, no luck!! Please help, they keep adding money, first was $990 now is $6.300, what is going on? It is a scam, just ignore them. We are talking about the loan amount of $300.00 that you took with the company ACS – Ace Cash Services (A Parental Pay Day Advance Company), they do have a signed copy of the contract which is signed under your E-mail address, also would like to mention your Computer&apos;s IP address and your SSN was also traced when you were signing the contract with the company. The company has more than 14 types of technical evidence in order to prove that the money was successfully deposited into your Bank account which was a checking account. The principle amount includes attorney charges, affidavit charges,late fee charges and rate of interest and it goes to $1000.00. To close this account and to avoid high charges we are giving you an opportunity to pay Settlement amount of $438.00 by today or you can pay $200.00 monthly or $100.00 Bi-weekly until paid off. You can reach us at 1 813 438 6823. This Legal Proceedings issued on your Docket Number ND-226585 with one of Cash Advance Company in order to notify you that after making calls to you on your phone number we were not able to get hold of you. So the accounts department of Cash Advance USA has decided to mark this case as a flat refusal and press legal charges against you. This is Paul Alexander from Legal Department of Advance Cash Services (ACE) .This e-mail is to notify you that under IC3 (Internet Crime Complaint Center) we have Registered Case against you. We tried to contact you several times but it seems apparent that you have chosen to ignore all our efforts. We have sent you this warning notification about proceeding on January 14, 2018 but you failed to respond on time now it&apos;s high time if you failed to respond in next 24 HOURS we will register this case in court. Consider this as a final warning. And we will be Emailing/Fax this issue to your current employer to make sure they take strict actions against you. Your salary and all your wages confiscated. Now, this means few things for you. If you are under any state probation or payroll we need you to inform your superior or manager what you have done in the past and what would be the consequences once the case has been downloaded and executed in your name. Through IRS (Internal Revenue Service) your Social security number will be put on hold causing severe damage to your credit history or credit report and your income paychecks will be put on hold. Our primary job was to notify you about the case before we send you legal document in the mail because once this case gets registered then we won’t be able to help you out of court. Our client is least interested in getting the money at this point as they want to just go ahead and start taking legal actions however we wanted to contact you and give you last chance to resolve this case out of court. If you want to take care of this out of court then contact us with payment within 48 hours and we will release the Clearance Certificate from the court. Our intention is not to threat you, it is only an effort from our-side to settle this case outside the court. IF YOU WANT TO RESOLVE THIS MATTER; DO REVERT US ASAP. Urgent Attention: Please rectify this matter immediately. Despite my previous reminders, the above invoice for $500.00 remains unpaid. As such, we would appreciate you making this payment by today in order to take care of this matter completely. The United States, or a State Debt support enforcement agency, certifying its right to garnish your Federal benefits shall attach or include with a garnishment order the following Notice; Garnish wages owed to a Debtor after the Small Claims Court has made an order that you owe money. On May 18th 2018, we received a garnishment order from a court to [freeze/remove] funds in your account. The amount of the garnishment order was for $945.00. We are sending you this notice to let you know what we have done in response to the garnishment order. You can contact your creditor for the settlement amount. Here is the email I received days ago. I googled them as I was trying to find a phone number. Glad I came across this. It sounds like the phony IRS call I got about unpaid taxes. I got 3 of those calls. If you pay in full, or make a part-payment before you are arrested, the warrant will be recalled and amended. However, it will be immediately re-issued if the debt is not paid in full. Once the warrant has been served, your only options are to serve the time in prison or pay the debt (plus costs) in full at the court house. If you want to stop the garnishment deductions from your paycheck, you must obtain a release or pay the entire amount you owe, which you can pay with the help of One Vanilla Silver Card, Western Union and American Express Prepaid Card in order to close this account. Garnishment is a legal process that allows a creditor to remove funds from your [bank]/ [credit union] account to satisfy a debt that you have not paid. In other words, if you owe money to a person or company, they can obtain a court order directing your bank to take money out of your account to pay off your debt. If this happens, you cannot use that money in your account. On April 25th 2018 we received a garnishment order from a court to [freeze/remove] funds in your account. The amount of the garnishment order was for $1000.00. We are sending you this notice to let you know what we have done in response to the garnishment order. You can contact your creditor for settlement amount. I just received one as well. What they don&apos;t know is that I have worked in the legal field, collection and subrogation to be exact for over 25 years. First off, I replied and told them that they were not my employer and second, you can&apos;t arrest someone for a debt. If that was the case, everyone would be in jail. I told them to not contact me again or I would be calling the Bar Association and the Attorney General&apos;s office. What a bunch of idiots. But, of course, there are vulnerable people out there that will fall for it. Pay the settlement offer $429.00 by today and settle this matter completely. On March 22nd 2018 we received a garnishment order from a court to [freeze/remove] funds in your account. The amount of the garnishment order was for $1000.00. We are sending you this notice to let you know what we have done in response to the garnishment order. You can contact your creditor for settlement amount. Despite my previous reminders, the above invoice for $450.00 remains unpaid. As such, we would appreciate you making this payment as soon as possible. The United States, or a State Debt support enforcement agency, certifying its right to garnish your Federal benefits shall attach or include with a garnishment order the following Notice; Garnish wages owed to a Debtor after the Small Claims Court has made an order that you owe money. On April 10th 2018, we received a garnishment order from a court to [freeze/remove] funds in your account. The amount of the garnishment order was for $1423.13. We are sending you this notice to let you know what we have done in response to the garnishment order. You can contact your creditor for the settlement amount. Having checked your Social Security Number through our National Checking Database System, and finding out that you have been never charged for a fraud activity, ACS has decided to give you a chance to take care of this issue outside of the Court without you having a report on your Credit History and SSN. In order to avoid a lawsuit of $2873.81 against you, we request you to kindly pay the Court Restitution Amount which is $970.85. If you settle this matter today, you may be entitled to get some percentage of deduction on the restitution amount. You will have to send us a promissory note in order to hold your case file from being sent to the court house. On a case to case basis, you may be given the solution to pay 45-55% of the pending amount in the same month & a 30 days extension to settle the rest of the settlement amount as mutually agreed. All funds to be returned as per terms of initial contract.